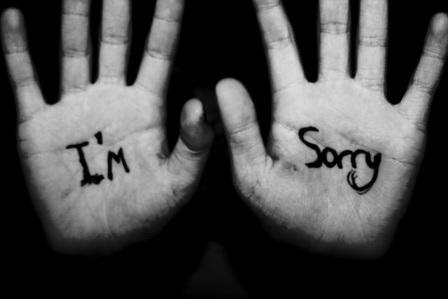 “Forgive,” this is one of the hardest words in the English dictionary to accept. I speak from experience, and it takes everything to really let go of bitterness and anger when someone hurts you. It’s hard to imagine finding a way to repair a broken friendship when all you can focus on are the moments when that person lied to your face. Or the words they spoke behind your back. It’s easy to look back at all their mistakes and point out every flaw in their character. It’s simpler to just write them out of your life than to consider a future. Friendship is a precious commodity and will have it’s ups and downs. When Jesus was sold out and tried in front of the Romans, he was betrayed by his closest friends. Judas basically handed Jesus over to his murders (Luke 22:47 – 49) and Peter denied they even knew each other (Luke 22:54 – 57). And although the price Jesus paid for his broken friendships was more than any of us will ever have to do, He forgave them. Now think about your situation, whether it be present or past. Is it really that impossible to just build a bridge and get over it?